Today, January 4th, is the feast day of Saint Elizabeth Ann Seton. She was a wife, mother of 5, widower, convert, teacher, religious and a very special Saint! Rather for her feast day today, I just thought it would be fun to share the EpicPew post that I wrote with facts about Saint Elizabeth. The post was published today on her feast day! How many of these facts did you know already? And here is Kendra's feast day food. 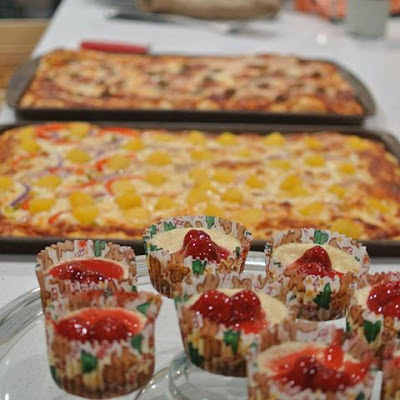 She writes on her Catholic All Year Facebook page: "Not-particularly-New-York-style pizza (but still good) and little New York cheesecakes for the feast of Saint Elizabeth Ann Seton, native New Yorker and first American-born canonized saint!" The St. Elizabeth Seton post was the 4th one I wrote for EpicPew. Below are listed the other ones that were published already on the EpicPew site. In closing, I want to wish you a blessed New Year! This year when we attended Mass for the Solemnity of Mary, the Mother of God, we were happily surprised to have the priest that celebrated our wedding on July 12, 1997, visit our parish and he said the feast day Mass. 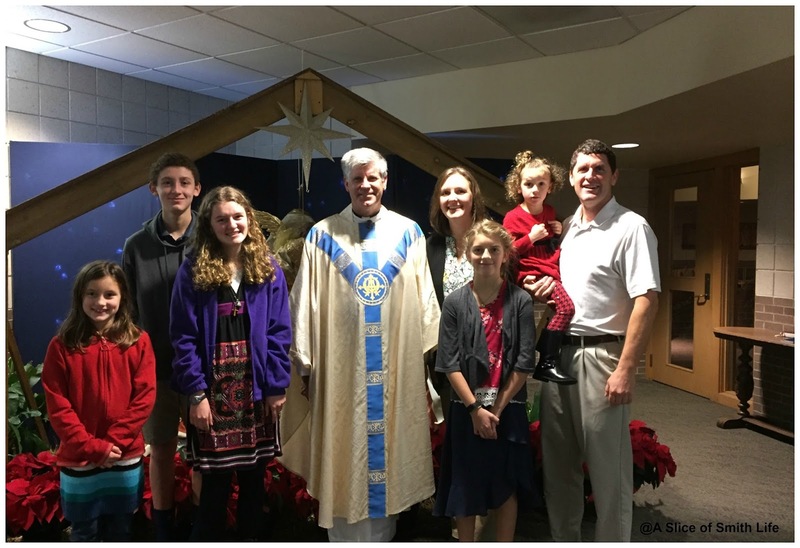 He was a new priest back in 1997 and we have kept in touch through the years through Christmas cards and our family would see Father Ned at various retreats and conferences. He always jokes around with us when he sees our family and sometimes says, "See what I started!" :) Our brief visit with him after Mass was a great way to end 2016 and begin 2017! Here is a photo we took after Mass with Father Ned, our very special and holy priest friend. They're all good, but a few of them are just hilarious!